A Final Hope Status Update! The first chapter of Final Hope is complete. 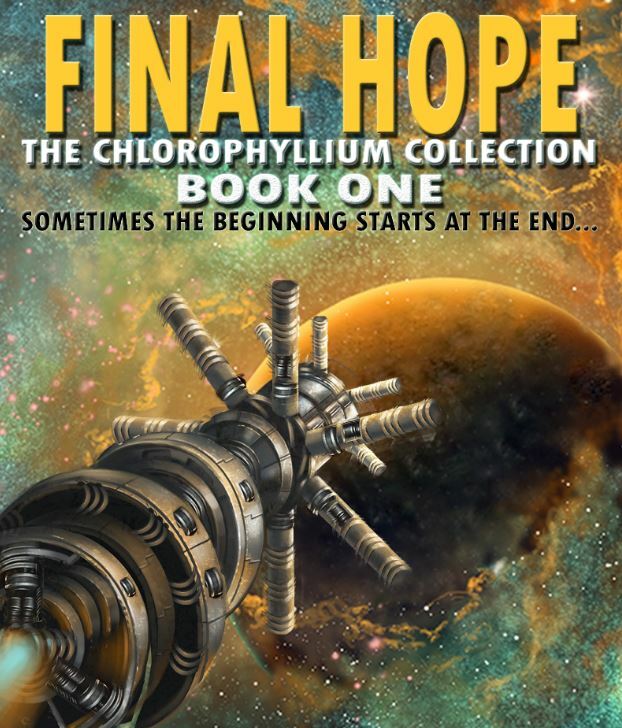 For those of you who have been following along, you may already know that Final Hope started out as a short story entitled Chlorophyllium 9. But long before that it was just an idea. I first had the idea for what would eventually become Final Hope back in 2008. That’s almost a decade and probably over 100,000 words ago. The road has been long and filled with self-doubt. Around every corner lurks a familiar presence, a shadow that whispers that I’m not good enough to tell this story. This first chapter starts out in the rift bay, where Greg is faced with an impossible decision. No matter what he decides, there will be consequences. He closes his eyes and hopes he’s making the right choice. There’s no room for doubt or second guesses. They’ve come too far. There is simply too much at risk to back down now. This first chapter has probably received the most revision since I expanded the story from the short form to a novelette and then to a novella. Now that we’re reaching the 50K word target, the chapter received a huge, and much needed, cut in word count. But don’t worry, those words aren’t lost. Instead, I decided to roll them over to a separate chapter, a move that helps separate the plot progression from the inciting incident. The result gives the first chapter a lot more impact. It’s a move that was hard to make, but one I know was ultimately the right choice. As for the rest of the novel, I’m still going through the line by line edit that sparked this change. I’m also planning a new second chapter to fill the space that was created when I split the old first chapter on the current timeline. That sounds confusing, but the odd chapters are basically what’s happening as the story unfolds, whereas the even chapters cover the events that preceded the current timeline. If I do it right, this back and forth should help to amp up tension as details emerge in each of the two timelines. To simplify the reading experience, I plan on using chapter subtitles to indicate if the chapter is occurring in the present or the past. Does this mean you’re almost finished? While I would like to say yes, I still have a lot of work ahead of me. Doing these line edits has proven very time consuming. This is usually something I only do for other authors when they ask me to read their work. But turning the scalpel on my own work has been illuminating. It’s forced me to take a good, long look at my own processes. I’m usually horrible at drafts, one of the things I attribute to this novels’ snail-like writing pace. I’m learning that if I can contain my inner editor during the writing process and then unleash the beast for line edits, the whole process will speed up to the nth degree. I think I have the capability to write very well. I also believe developmental editing is one of my strengths, dissecting the story and uncovering the details that will have the most impact. Standard editing? I think I can honestly say that I can give this category a solid, uh… pretty good? The real problems arise when the second two of these skill sets start to overlap with the writing. I’m horrible at self-editing while I write. Experts would probably tell you that writing is a creative endeavor, while standard editing is a core analytical skill. I’m assuming that developmental editing would exist somewhere in the middle. And in my experience, my brain tends to like to be creative, it enjoys creatively analyzing things, but it goes on strike when I try to force it to analytically create something. That’s where the doubt creeps in, followed closely by over-analysis. Before you know it, I’ve written the same paragraph five times, rearranged the order of sentences at least three, and barely put a dent in writing a single page. To put it simply, I’m learning how to improve my writing process. Aside from all that, I still have about eight chapters to rewrite plus corrections after I finish my line edits. 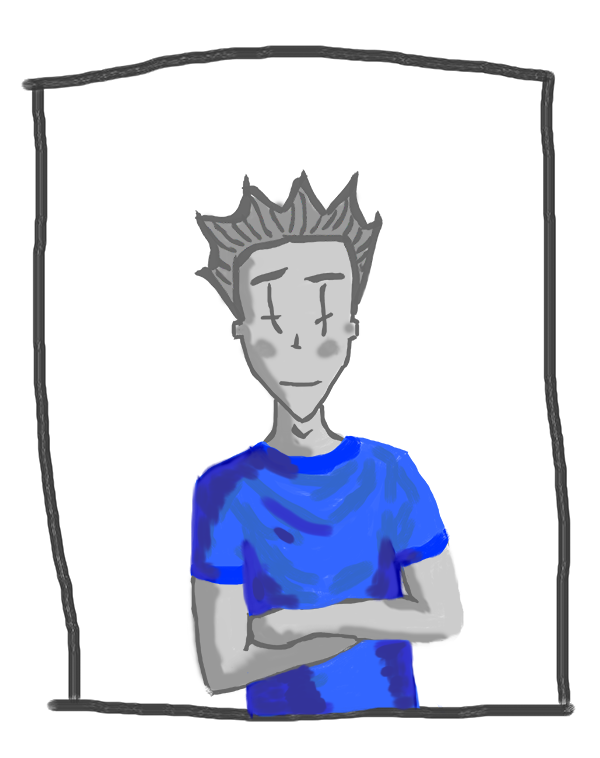 That said, I am very excited about how this first chapter has shaped up. If this is any indication of what I can do for the rest of the novel, I think we’ll be in good shape. Would you be interested in reading the first chapter of Final Hope? Post in the comments below and let me know if you’d like me to publish the first chapter of Final Hope. If there’s enough interest, you might just get your first glimpse at all the hard work I’ve been doing to make this book a reality. If you’re not really interested in reading the first chapter, but you’d like to offer your congratulations to mark this achievement, I’d like to hear from you as well. Interested in more updates about Final Hope? You can read the next post here! I am very interested and would love to read it.